There are already hundreds of Xbox 360 games available on the Xbox One, with more added every month. Downloading any backwards compatible game is totally free and does not require an Xbox Live Gold subscription, unless you want to play multiplayer. To use Backwards Compatibility on your Xbox One console, either insert the disc or check the "Ready To Install" section of your game library. 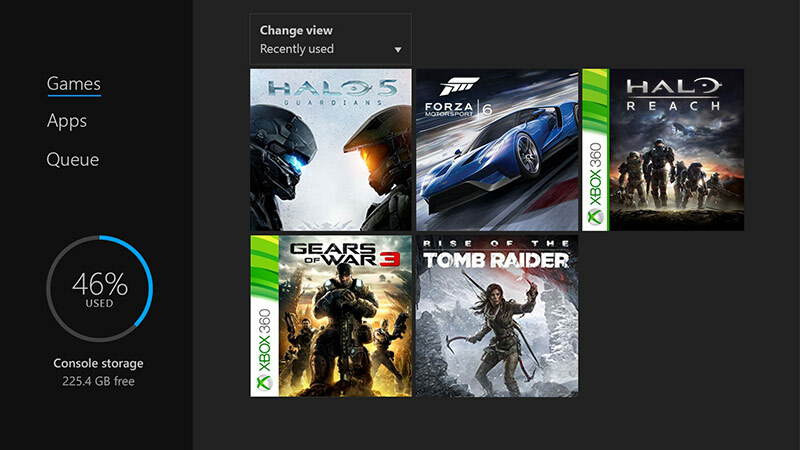 If you own a game digitally, it will automatically appear in the "Ready to Install" tab. If you have a physical disc, place it in your Xbox One console disc tray and a download will automatically begin. [Updated 7/2] Now includes Xbox Original games. Currently, Xbox Original games are not available, but will be added in future Xbox One updates.